This species is accepted, and its native range is Japan (S. Kyushu) to Taiwan, SE. China. Bendiksby, M., Thorbek, L., Scheen, A.-C., Lindqvist, C. & Ryding, O. (2011). 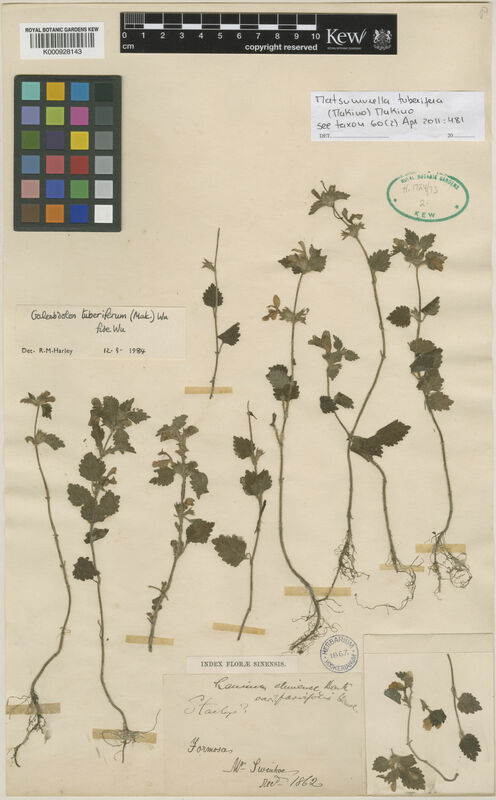 An updated phylogeny and classification of Lamiaceae subfamily Lamioideae Taxon 60: 471-484.